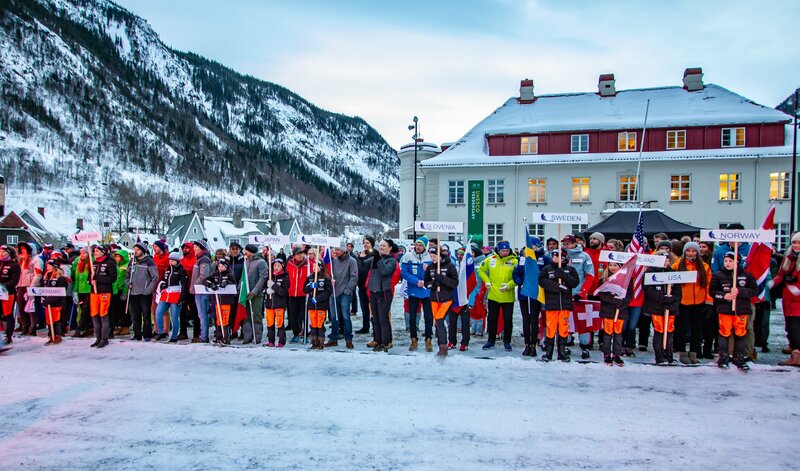 Following the races in Germany and Slovenia, the tour moved to Rjukan, Norway. 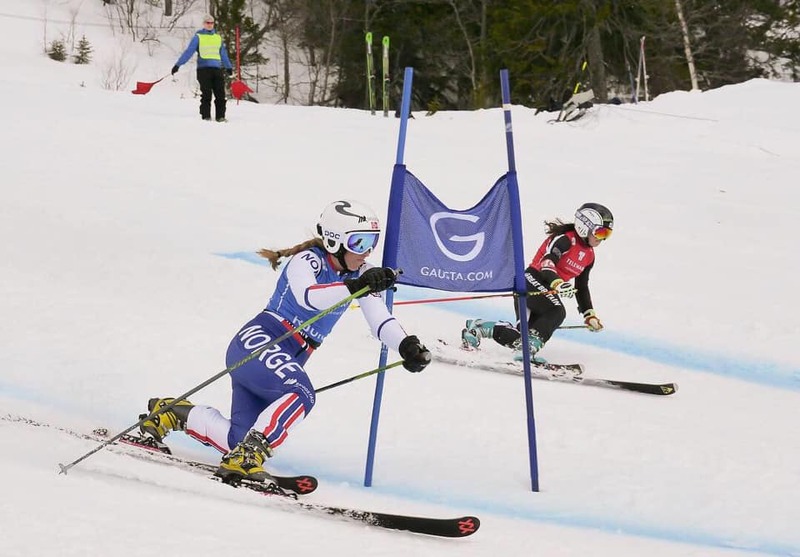 The racing began with 2 days of Sprint races, followed by a team Dual Sprint and an individual Dual Sprint. The weather was superb throughout and the views were spectacular as always. 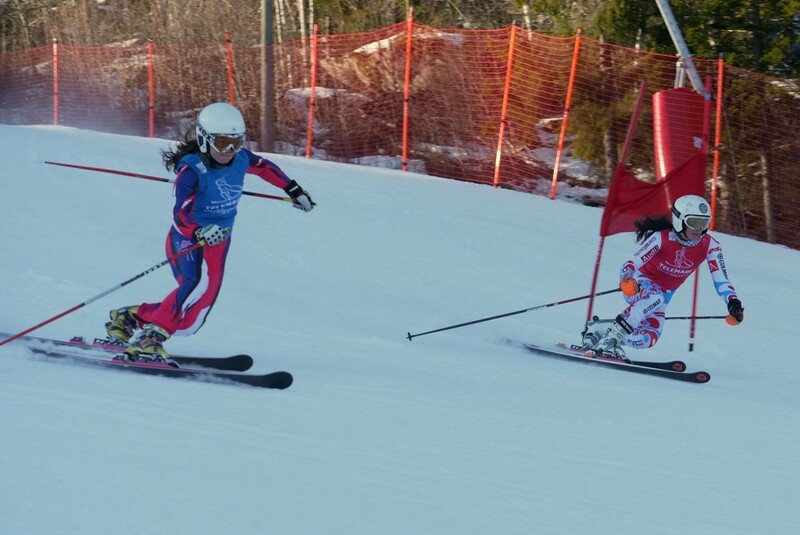 On the first day of racing I finished in 6th place. 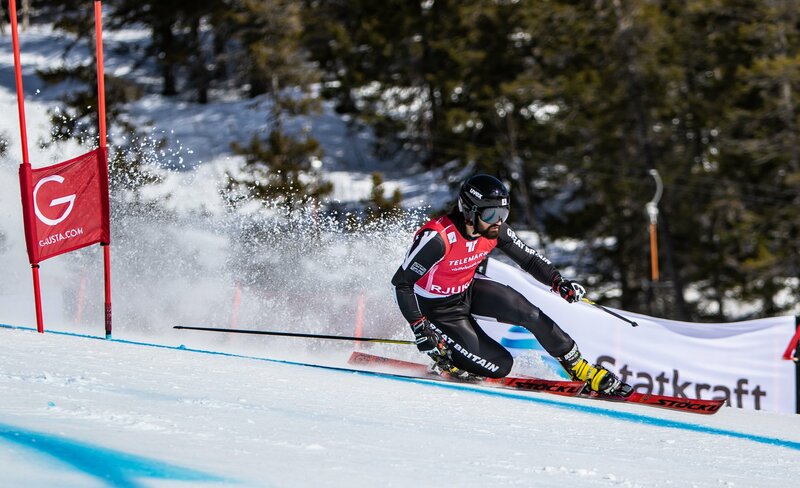 The second day of racing was very interesting for me – after a tricky first run (9th position) and a good second run (2nd position) I jumped up of 5 positions to get a 4th place. 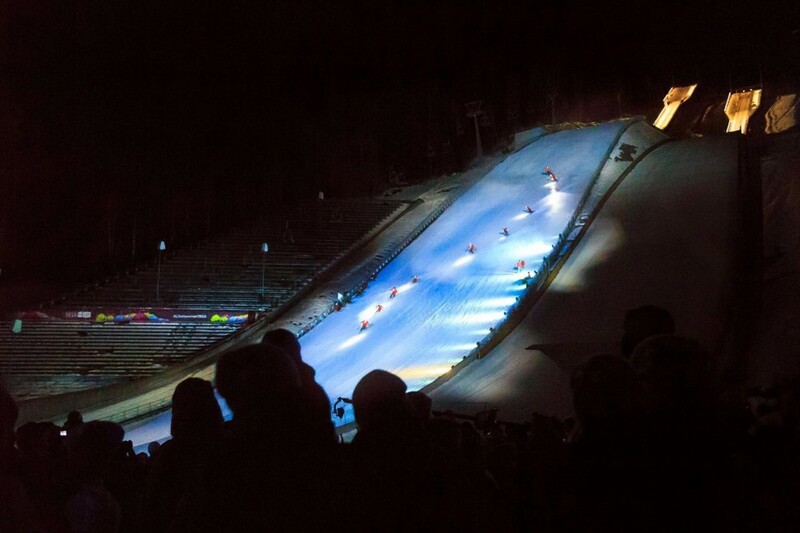 That evening we raced the Team Dual Sprint event under the floodlights looking out across at the Norwegian sunset. 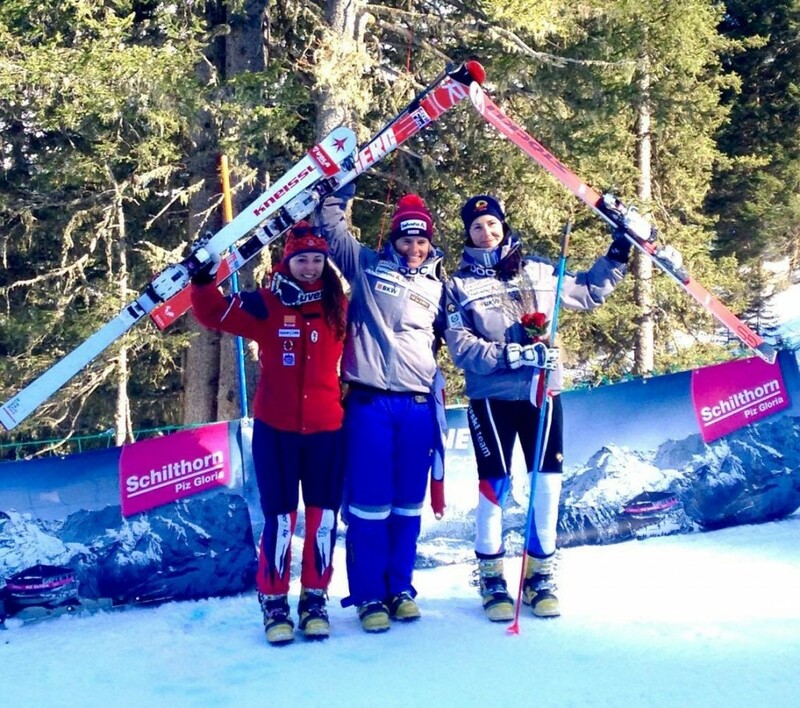 In the first round, the British Team (myself, Louis Hatchwell and Alistair Cruz) raced a strong Team Germany. Unfortunately, we didn’t go through to the next round but we certainly put up a good fight with a particularly close match from Louis Hatchwell and one very explosive crash from Alistair Cruz! 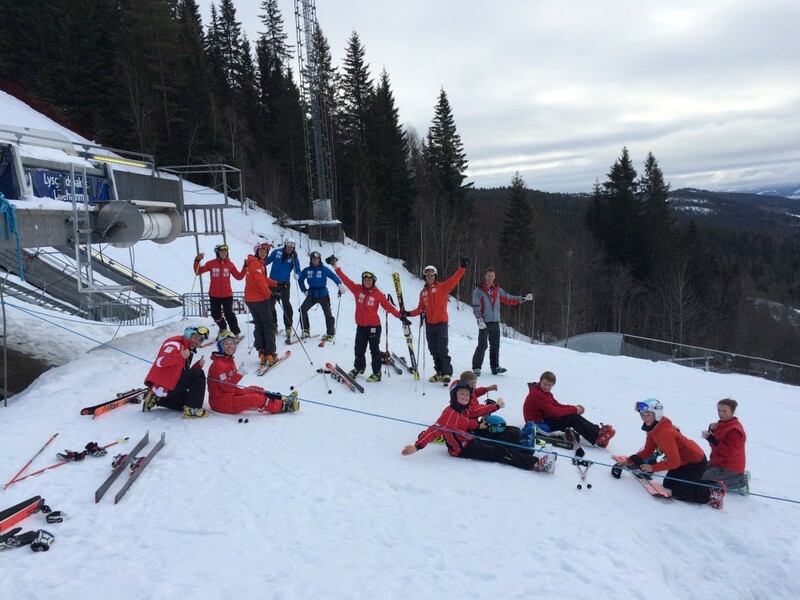 The final day in Rjukan ended with (the ‘normal’ individual) Dual Sprint. 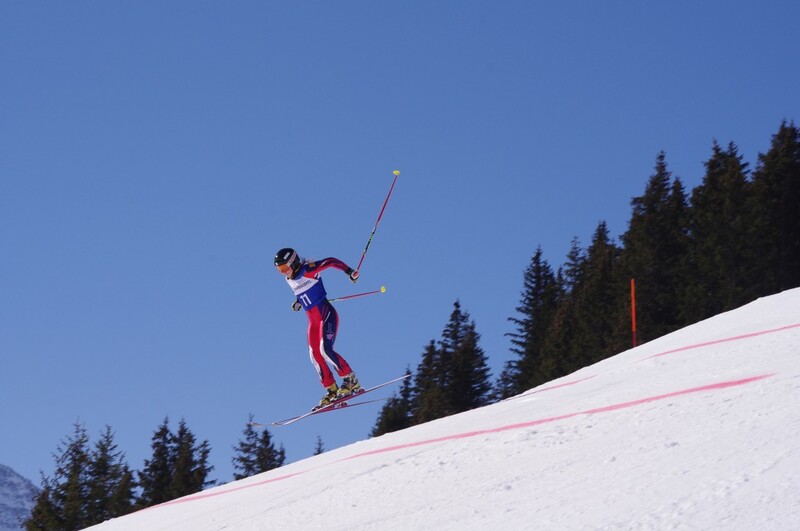 After a poor qualification run littered with jump penalties (a short course that cannot afford any penalties), I qualified 13th meeting training buddy and fellow competitor Argeline Tan-Bouquet (FRA). 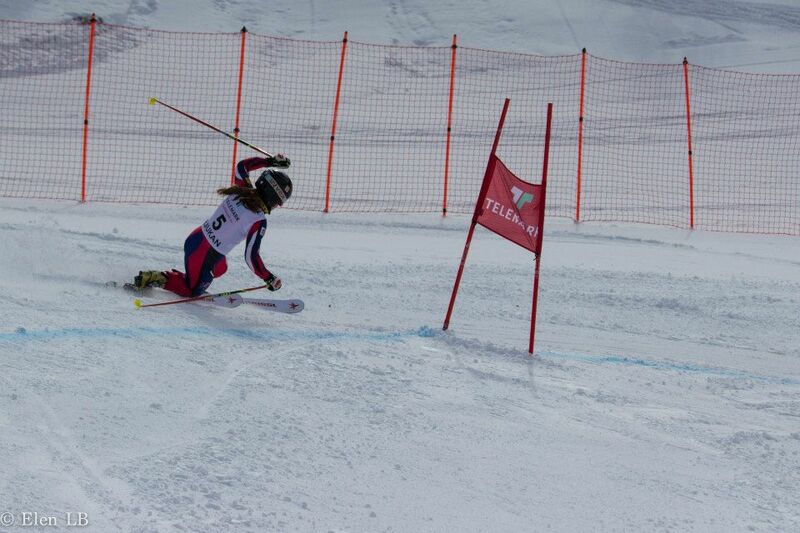 I skied fast but Argeline pipped me to the loom and with one less penalty than me, she was too difficult to catch. This resulted in a 9th place finish for me. 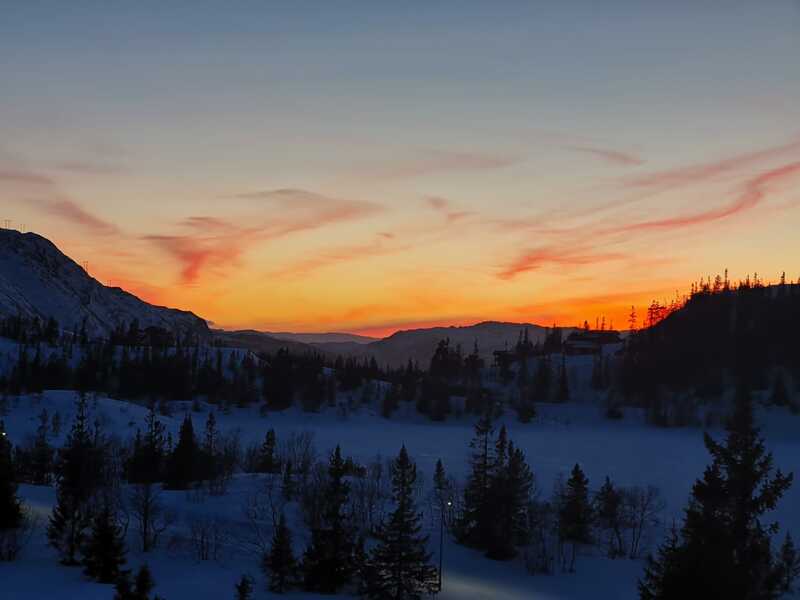 After Norway, I returned to Les Houches to empty my suitcase for a final re-packing. At this point I realised that the process of emptying my bag and refilling it hadn’t stopped since before heading to Murren, Switzerland for the first time in early January for the British Championships. 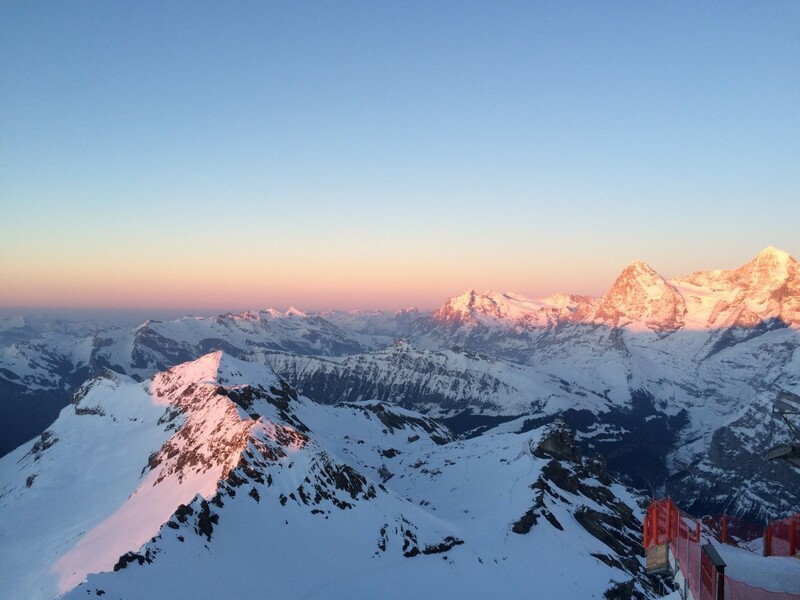 I was now returning to Murren for the second time this winter for the World Cup Finals feeling tired but ready to give my best for 3 more days. The racing kicked off with the Classic, a discipline I don’t consider my strongest yet my World Cup ranking was the best it had ever been. 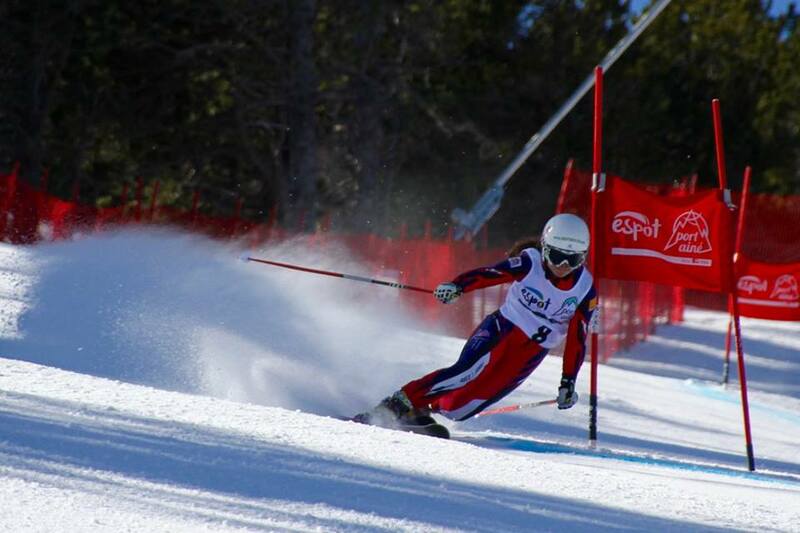 I was lying in 5th place following a 5th place finish in France and a 4th in Spain earlier in the season. 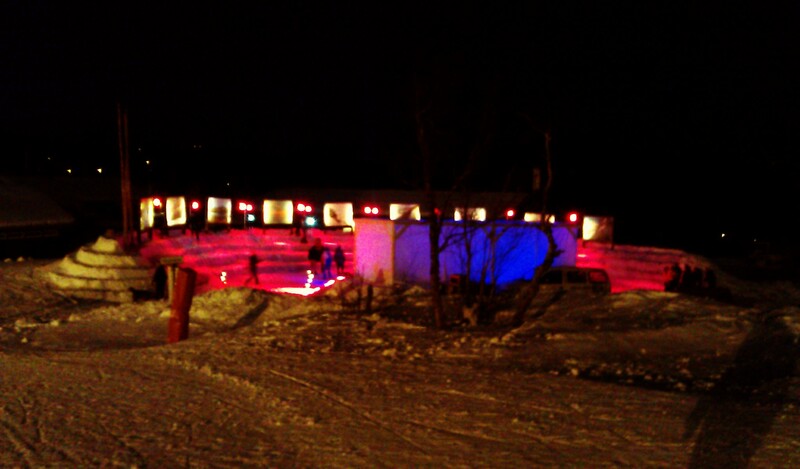 The course was set by my coach Sebastien Mansart, it was dynamic with a very intimidating skate at the end. 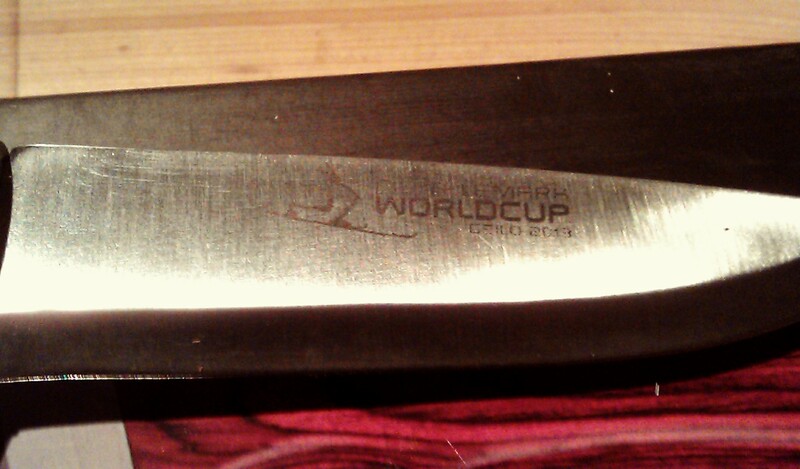 I finished in 7th, stung by penalties but a position good enough to hang onto my new personal best world ranking. 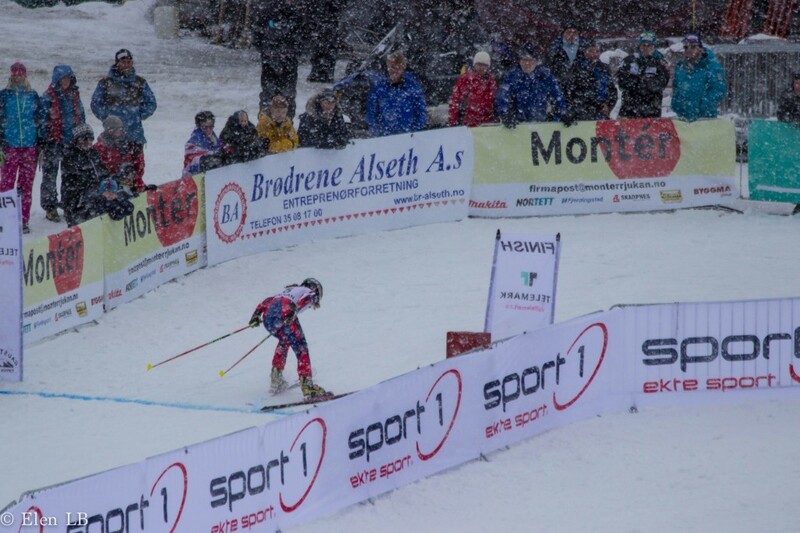 And then comes the Sprint, the best day of my season and probably the best race of my career to date. The run was not perfect (there’s no such thing in fact) and it wasn’t anything way beyond the norm. 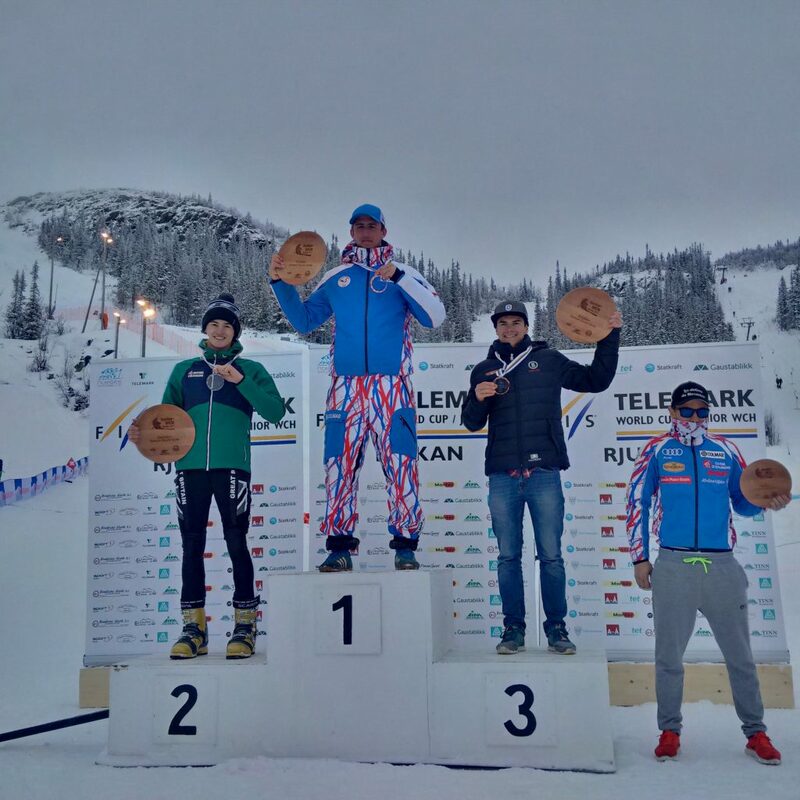 Everything came together; the speed, just 1 penalty, a clean jump, a strong skate and clear mind – it was good enough for 3rd place after the first run. 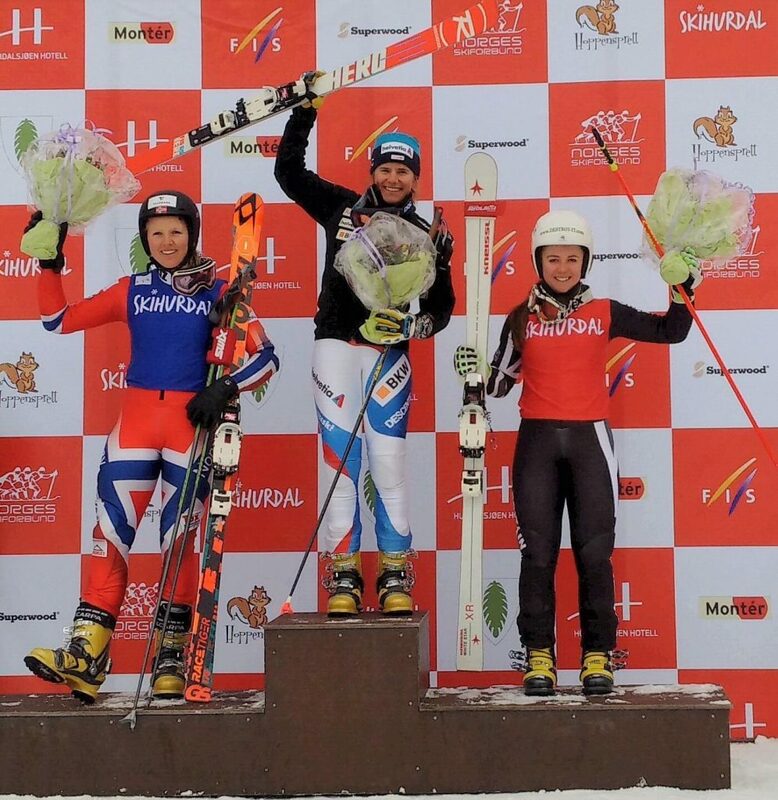 Knowing my second run is usually always better, I kept it simple and did my best once more and this time it was good enough to finish in 2nd place. That feeling was immense, I felt proud, satisfied, happy and relieved. 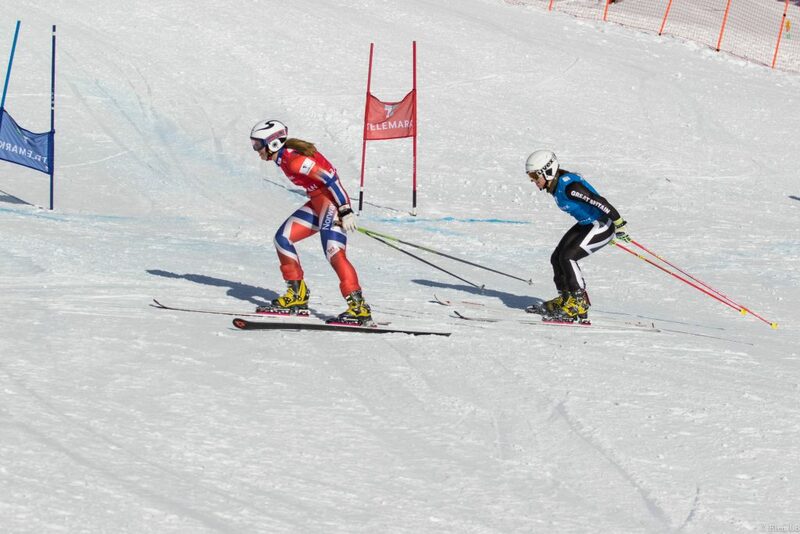 The very final day of racing; the Dual Sprint. I qualified against Theresa Fichtl (GER) and won, then met the eventual winner, Beatrice Zimmerman (SUI) and lost out finishing in 5th place. 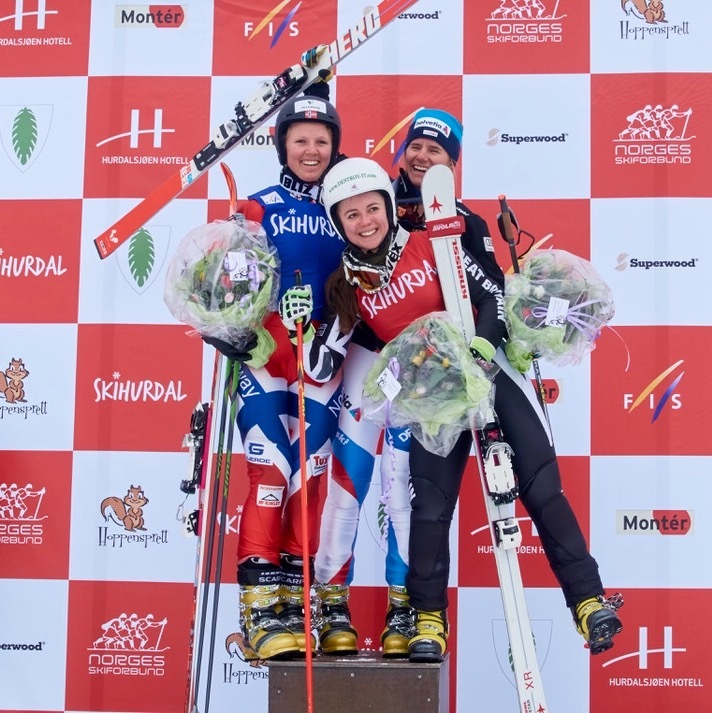 My goal for the season was to be more consistent and I finished between 4th and 6th position 11 times, with 1 World Cup podium. 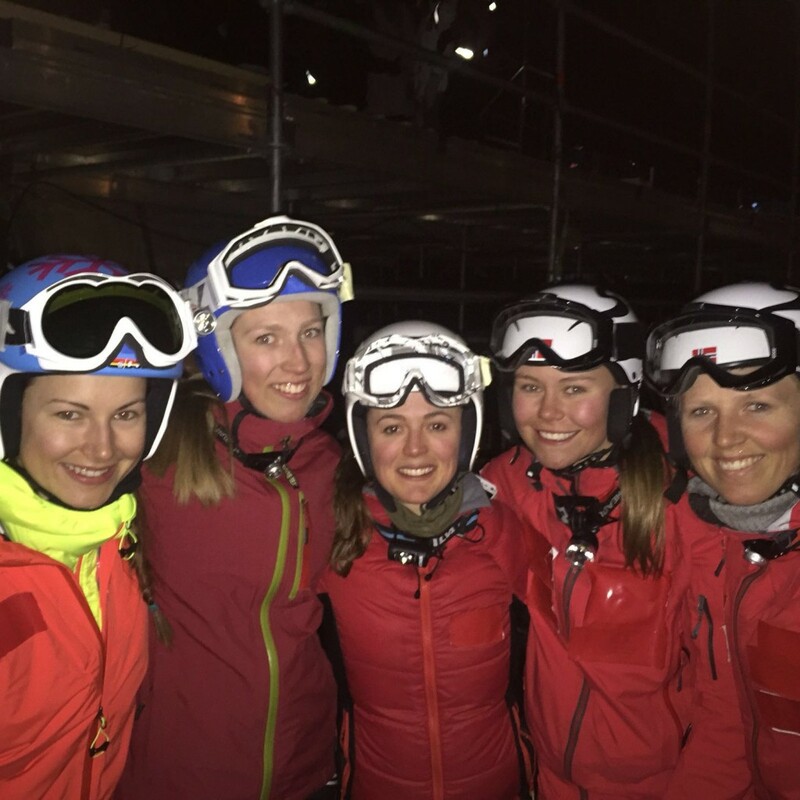 My overall World Cup ranking is 5th place and that has been a goal since the beginning of my telemark career and finally achieving it feels awesome. 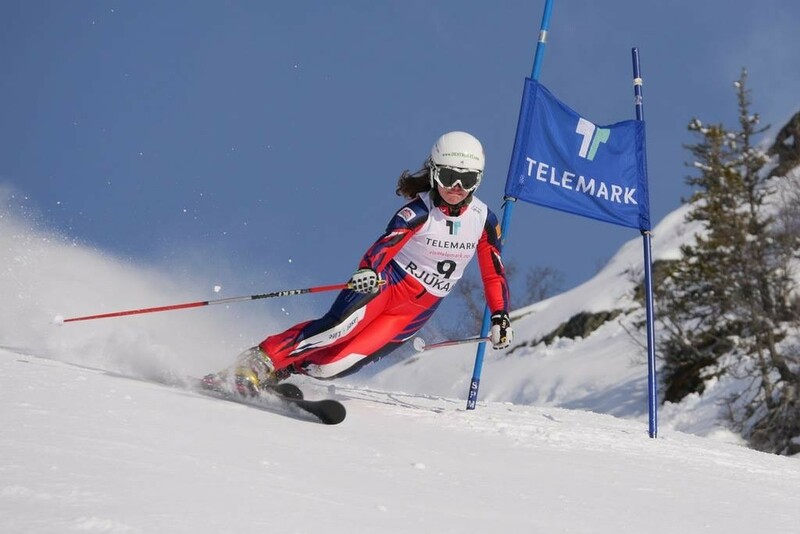 It’s been a fantastic season and I would like to thank everyone that makes it possible: my sponsors, coaches, supporters, parents, family, friends, boyfriend, university, telemark World Cup organisers and committee, GB team-mates and fellow athletes. 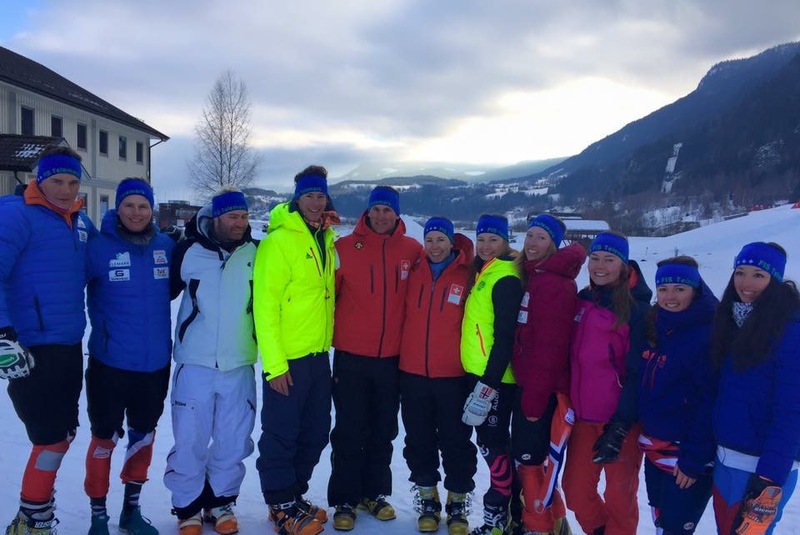 A mix of international telemark skiers; German, Swiss, French, Norwegian and British gathered in Norway to present telemark in the Youth Olympic Games. 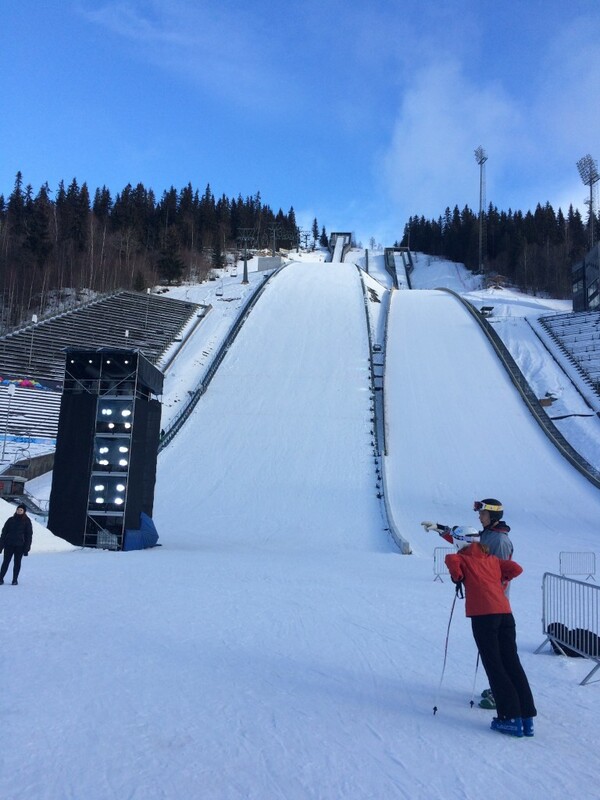 Our time in Lillehammer began with the Opening Ceremony last Friday night and after 3 days of practice on the ski jumping hill we demonstrated the sport in front of a crowd with 16,500 people. The crowd waiting, our hearts are beginning to pump faster.. 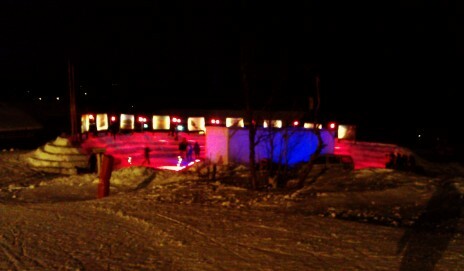 The Opening Ceremony! Here come the telemarkers..
We have that after feeling buzz! Magic experience. 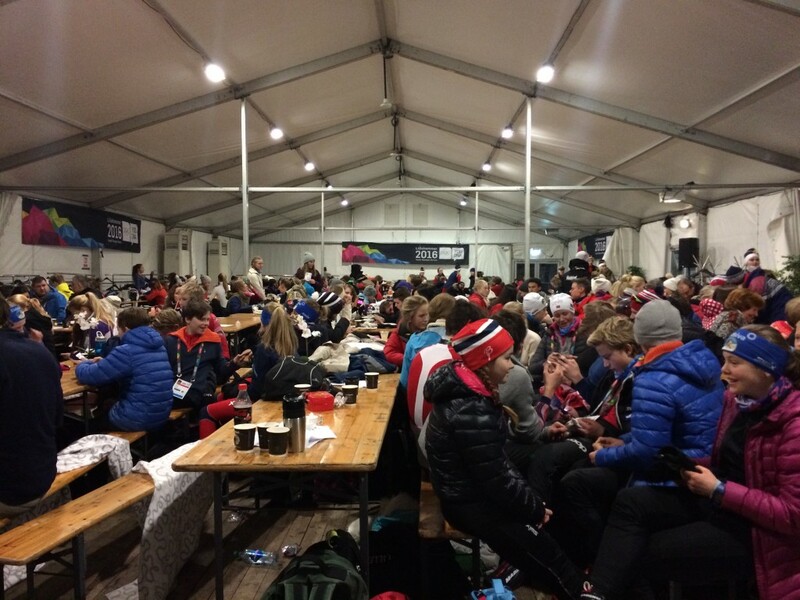 Straight after the ceremony we travelled to Oslo arriving late but ready to race the following day in the Norwegian Championships. 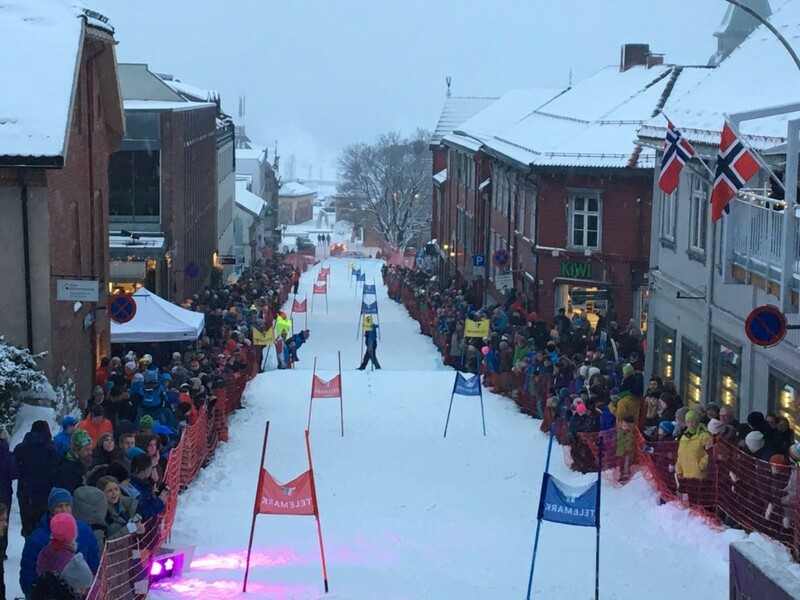 It was a Sprint race with icy conditions, a good course and great atmosphere. 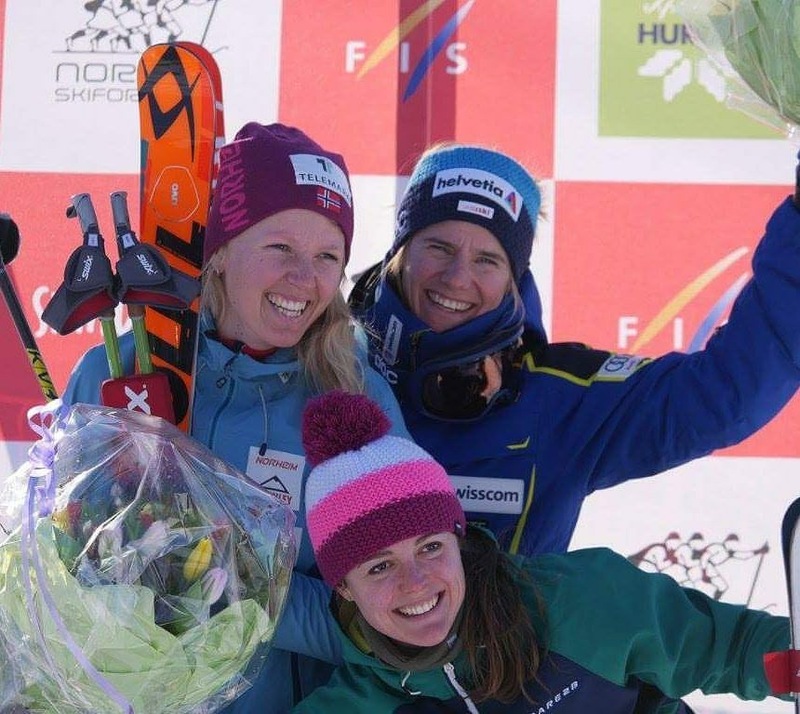 I finished in 2nd place behind Beatrice Zimmerman (SUI) and in front of Johanna Holzmann (GER). 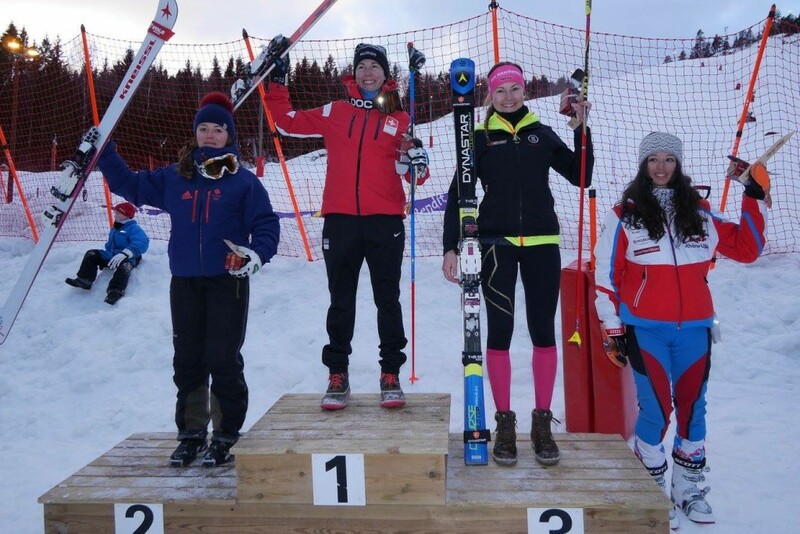 The following day we raced in the Dual Sprint event, I finished in 4th place after close races with Johanna Holzmann (GER) and Argeline Tan Bouquet (FRA). 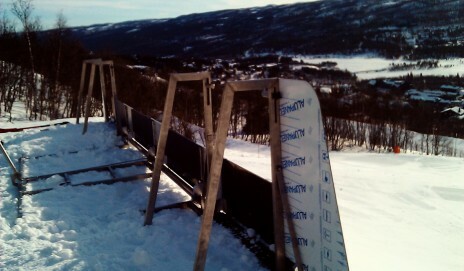 We left straight after the racing on Sunday and travelled back to Lillehammer. 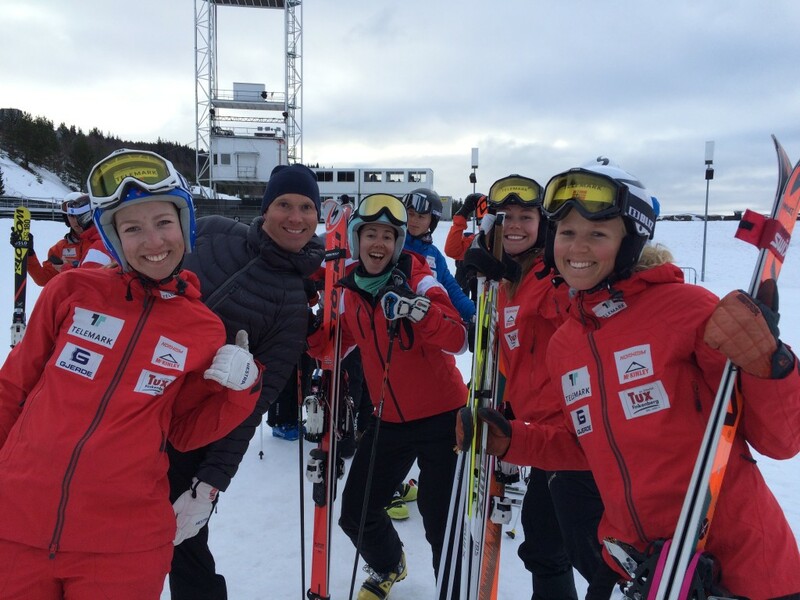 The following day we gave telemark taster lessons to the public and even had the chance to train a little bit for ourselves. 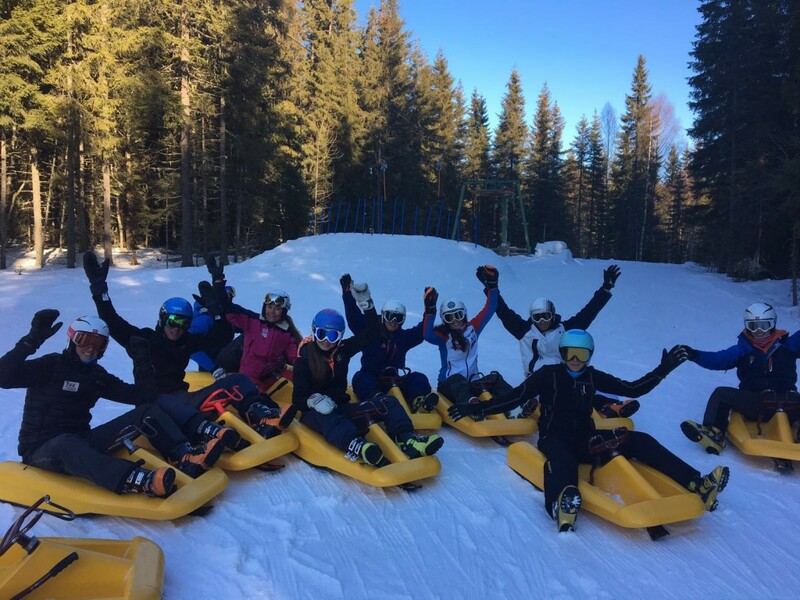 There was a piste set up for Dual Sprint races which meant we had the opportunity to train the start gate, jump, loom and skate. 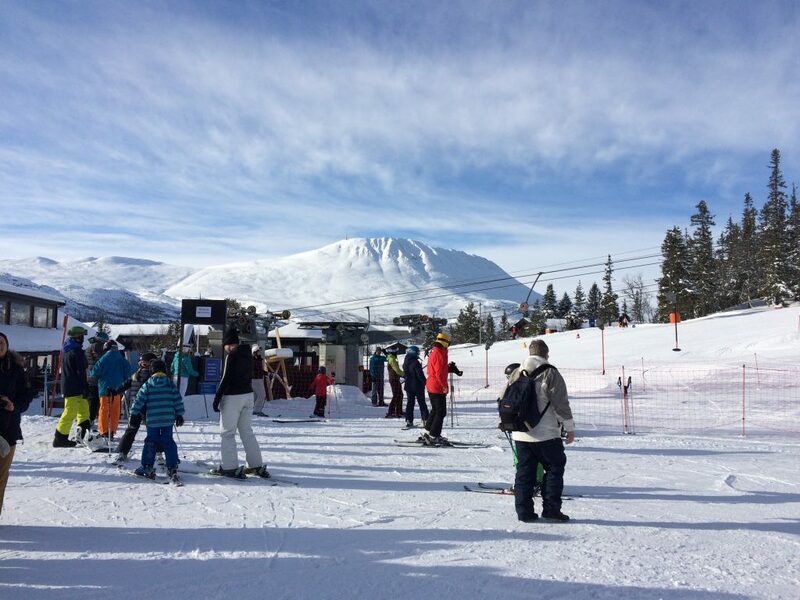 Aside from the skiing, we also had a lot of fun sledging, watching hockey, and going to concerts, dinners out and generally just enjoying this unique experience. 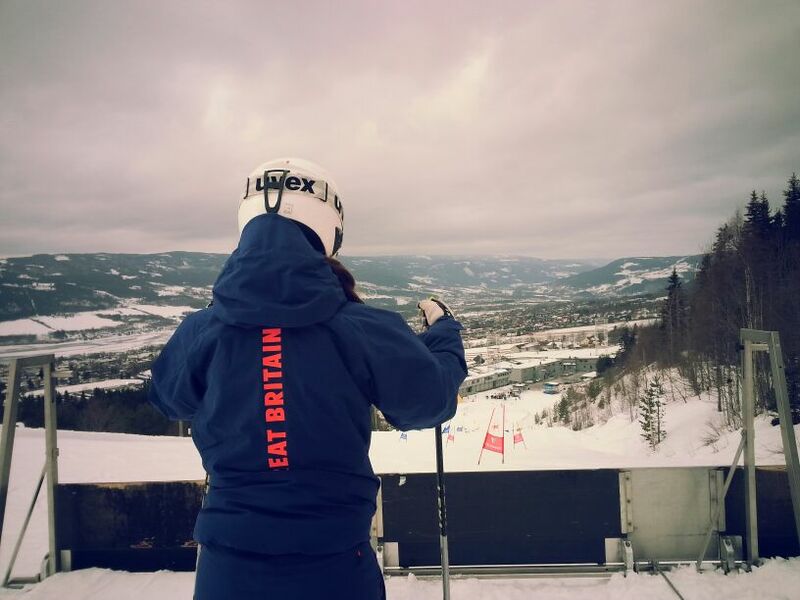 ‘Eat Britain’ soon became a nickname..
Our final task; the telemark show in the centre of Lillehammer – that was epic! The crowds gathered once more and we raced a Dual Sprint on a very straight, flat but fun course. We had to jump over the road which ran through the town centre and wait for passing pedestrians, the music was loud and the energy was electric. You can see the video HERE. 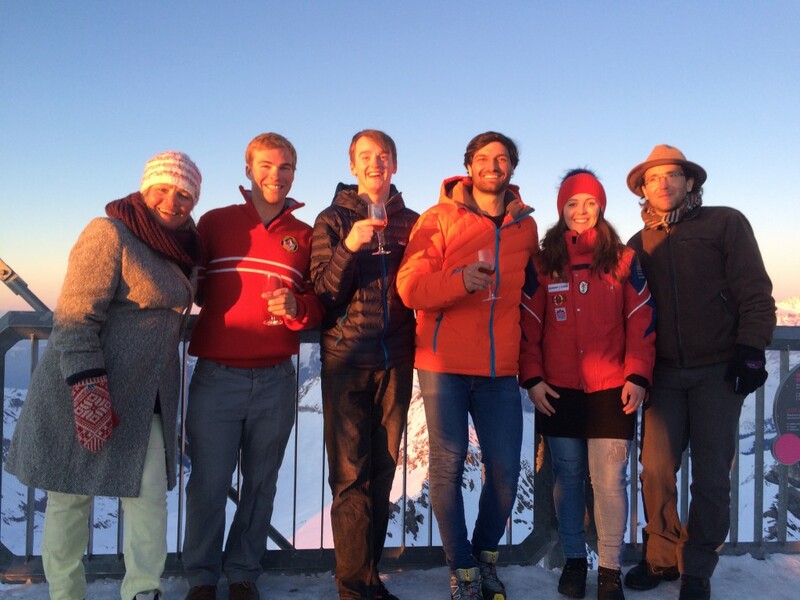 The Youth Olympic Games have been truly magical, thank you so much to the Norwegian federation for hosting us and to the Swiss for taking care of the international team organisation. I feel I’ve learnt so much, really enjoyed myself and have great memories that I will never forget. Now I’m travelling back to the UK before heading to France. 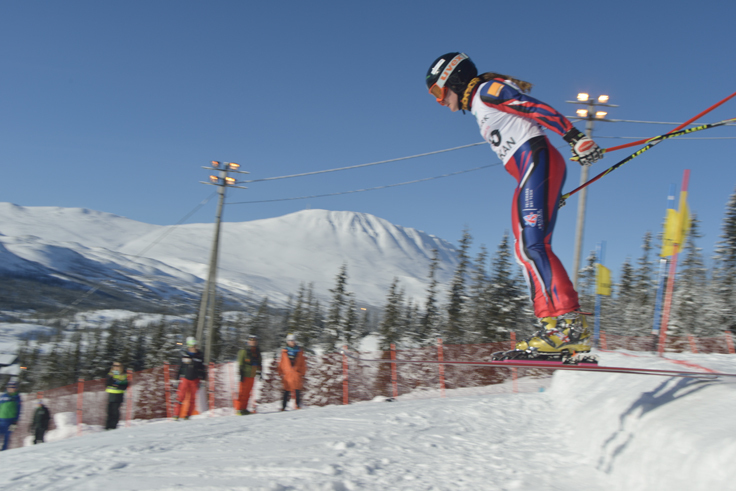 We head to Germany at the end of the week for the next round of World Cup racing! 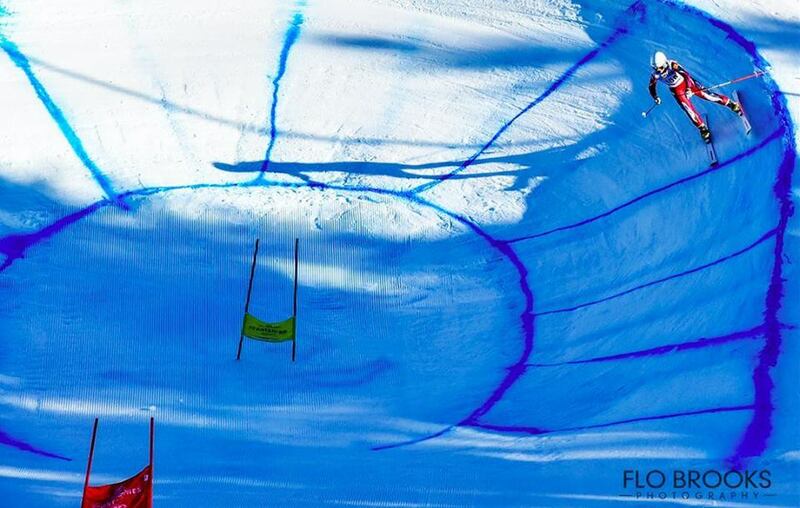 Since my last post, we’ve had another two rounds of World Cup races. 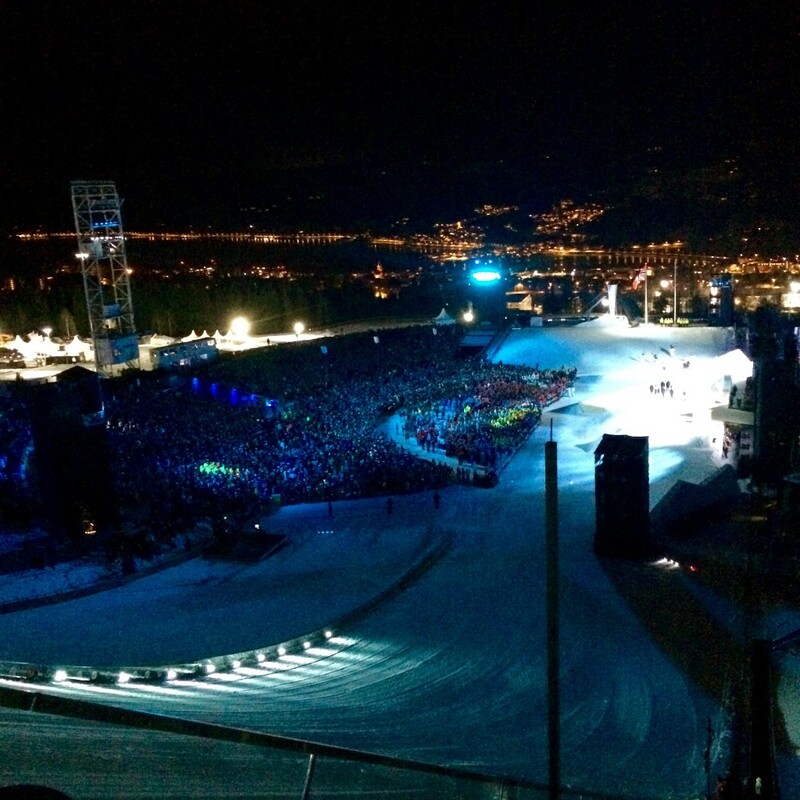 The first set was in Les Contamines, again in France, and the second round was in Spain. 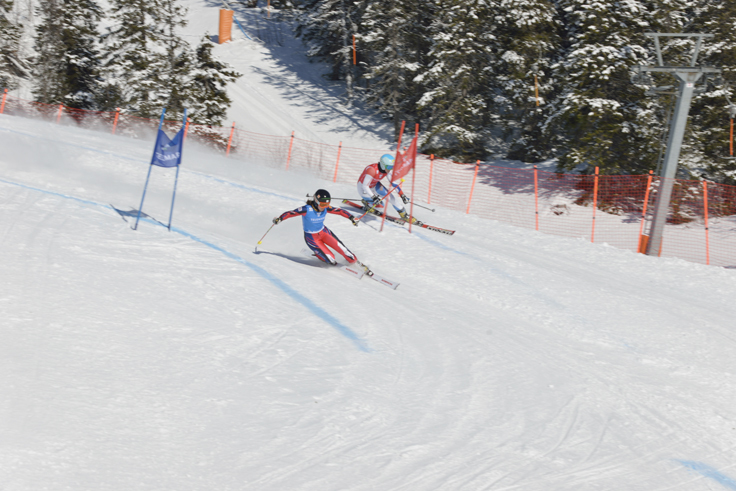 In Les Contamines, the races were combined with the World Junior Championships and the British Team had four junior competitors racing with an additional six senior racers. Racing the Classic in Les Contamines, France. Thanks and photo credits to Flo Brooks. The first of our races was the Sprint, unfortunately I didn’t finish but the following race, a Classic, I scored a personal best result in the discipline which was 5th place. 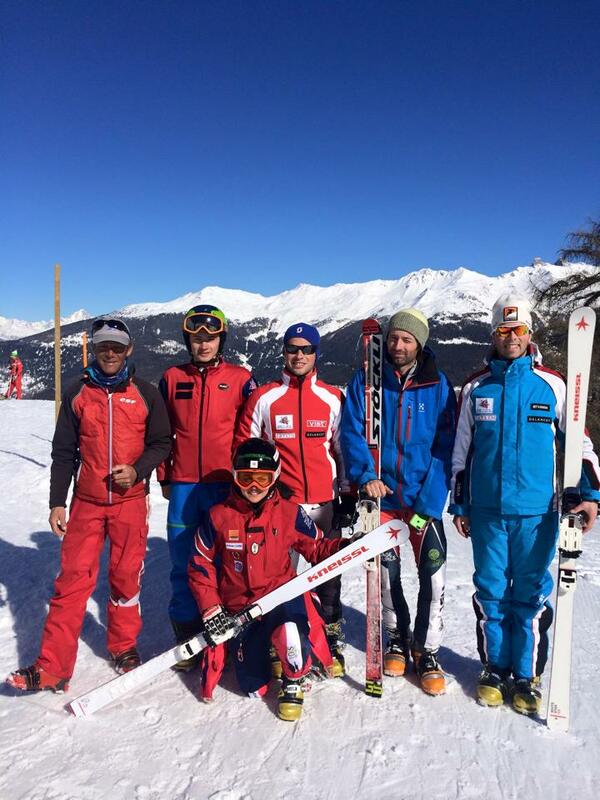 A travel and training day later, the team arrived in Espot (Spain) ready to race yet another Classic. 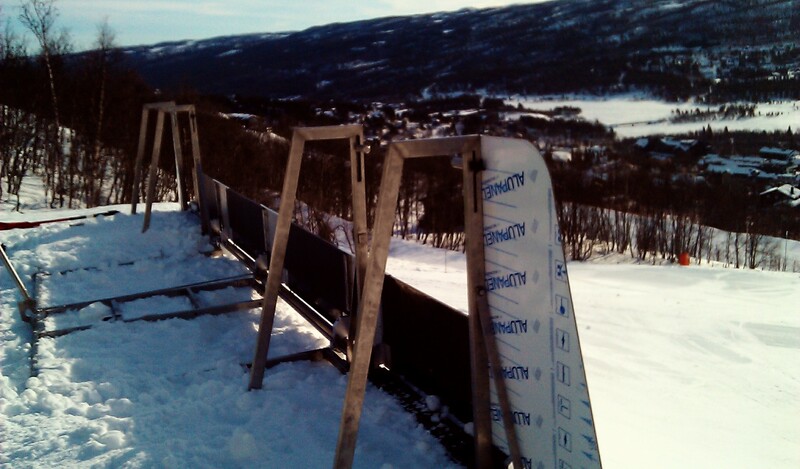 The course was steep, icy and the jump was fast so our limits were certainly tested. 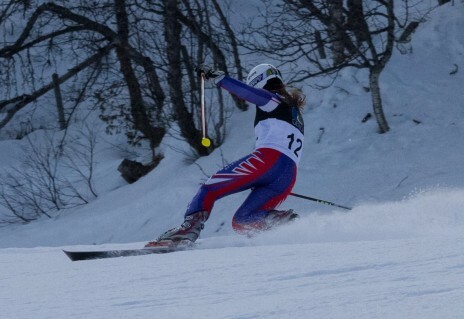 I am pleased to say that I scored another personal best result, this time one better – a 4th place. Racing the Classic in Espot, Spain. 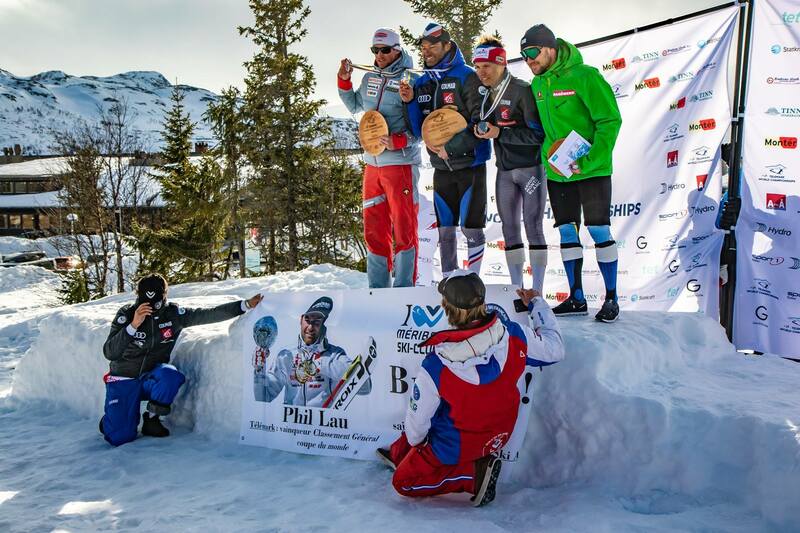 Thanks and photo credits to Lars Ove Wangensteen Berge. Another two days of racing remained, I finished in 8th position in the Sprint after a tough race and in 9th place on the Dual Sprint. All in all, the races have been another big learning curve with many positives. 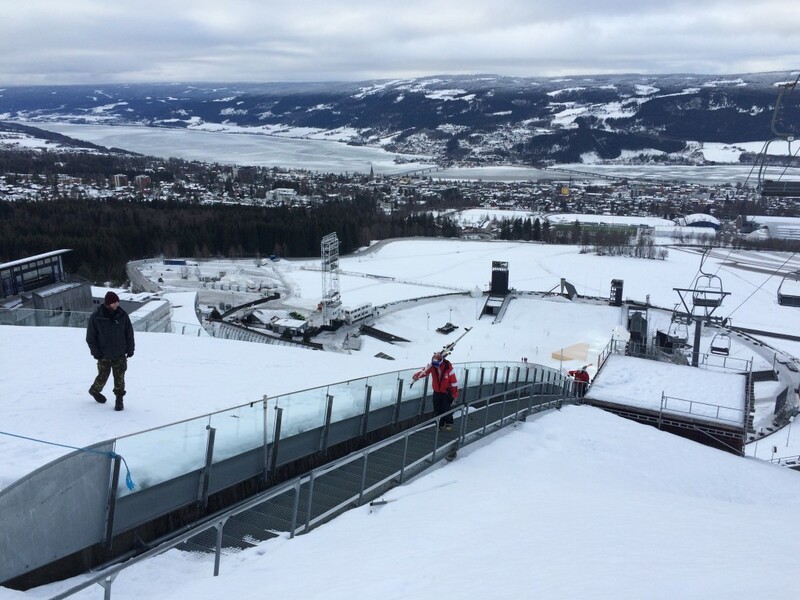 That’s half the World Cup circuit complete with the next half kicking off again at the end of the month in Germany. 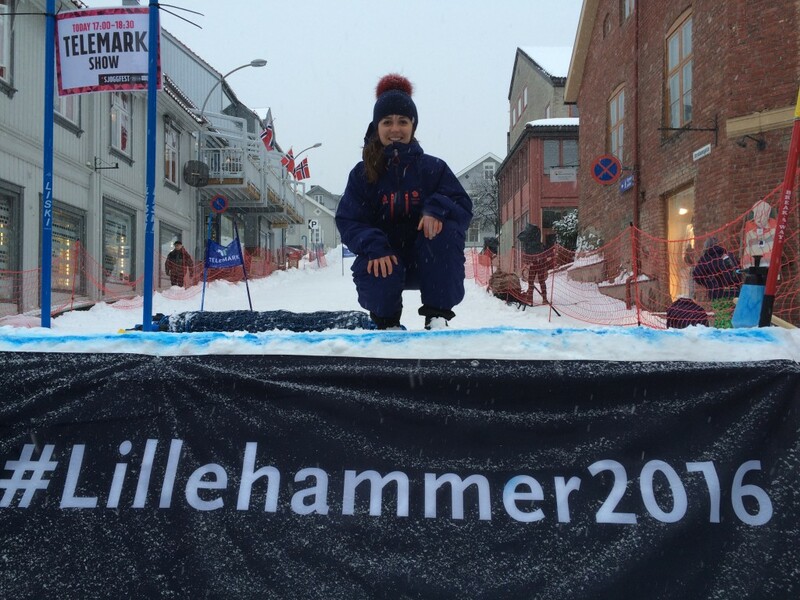 Between then and now, I will be in Lillehammer for the Youth Olympic Games (YOG) as part of an international team representing telemark. 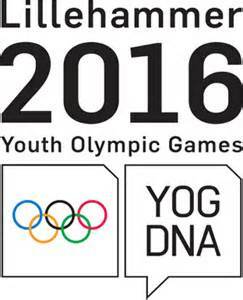 We will perform in a demonstration event during the opening and closing ceremonies which is an important, positive step for the sport. I have never been to an Olympic Games so to have this opportunity is very special, I am excited to be here, enjoy the atmosphere and to give my best. 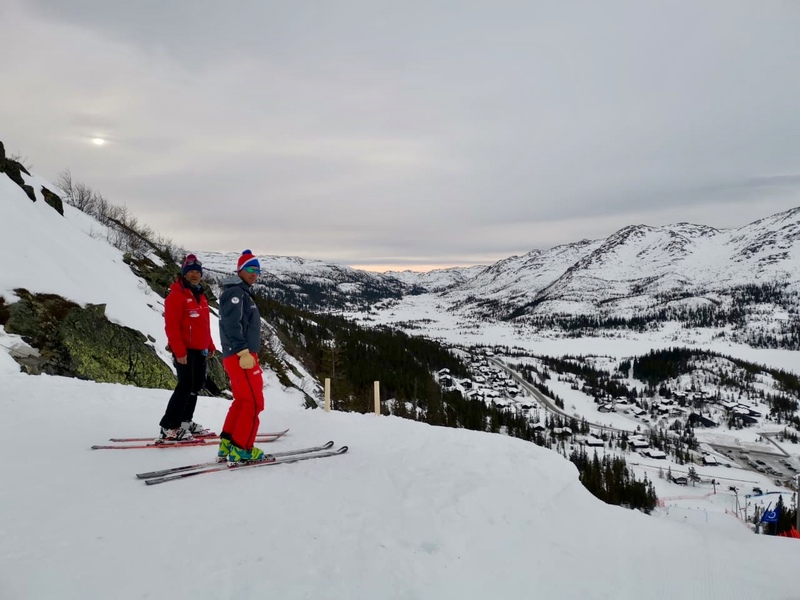 Whilst in Norway, we will also have the chance to compete in the Norwegian Championships and do some training, as well as giving telemark taster lessons to the public. Updates are soon to follow! 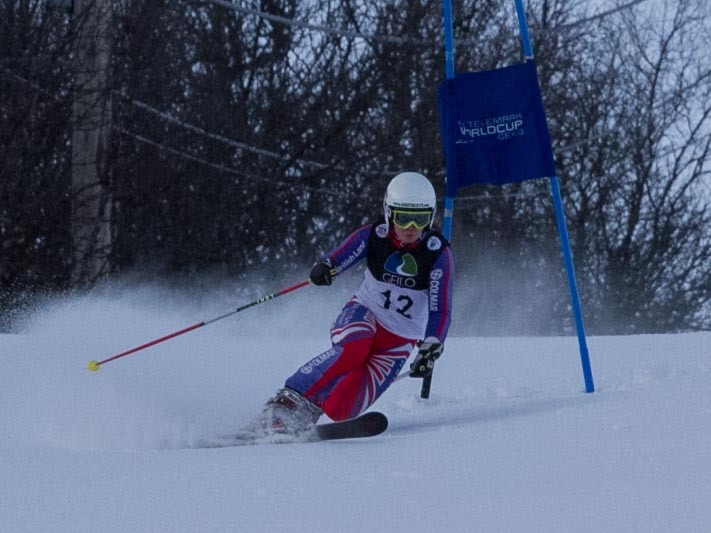 If you haven’t seen the write up about the British Championships by the East Anglian Daily Times, you can read it HERE. 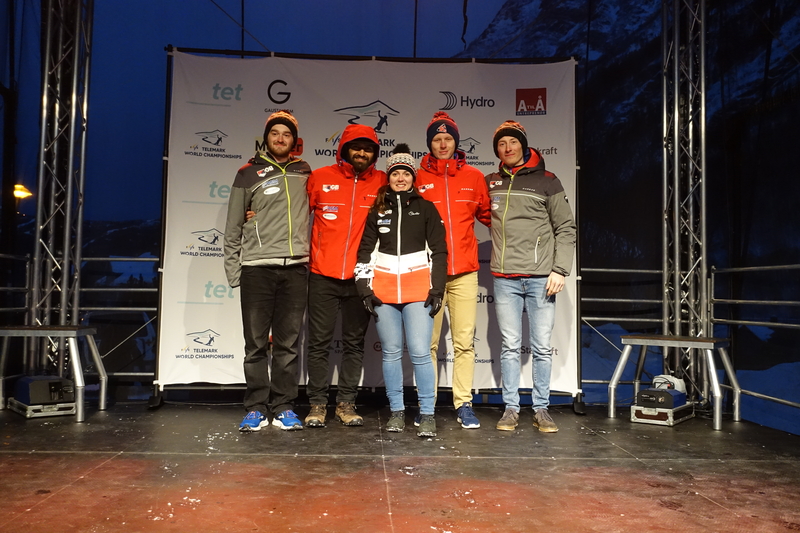 Following the World Championships in Steamboat Springs, Colorado (USA), the World Cup race circuit travelled to Thyon and then Murren in Switzerland before concluding in Rjukan, Norway where I finished 7th in the Classic, 6th in the Sprint and 5th in the Dual Sprint. 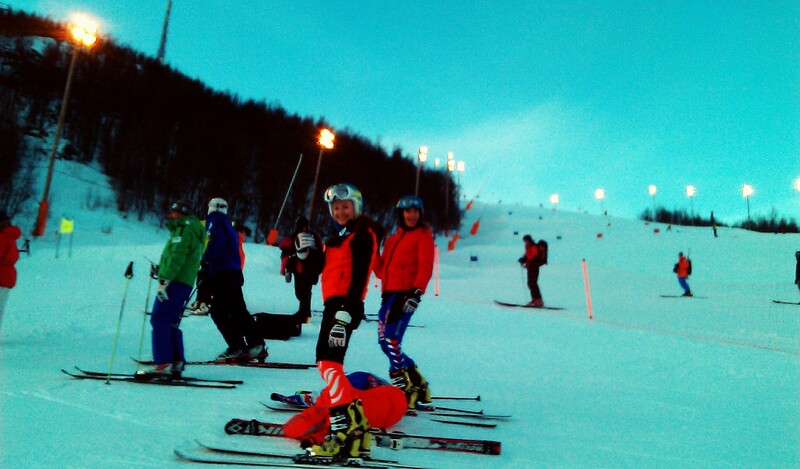 In Thyon, I achieved another 5th place in the Sprint race. It was great to be joined by team mates Jasper Taylor, James French and Fred Thomas. 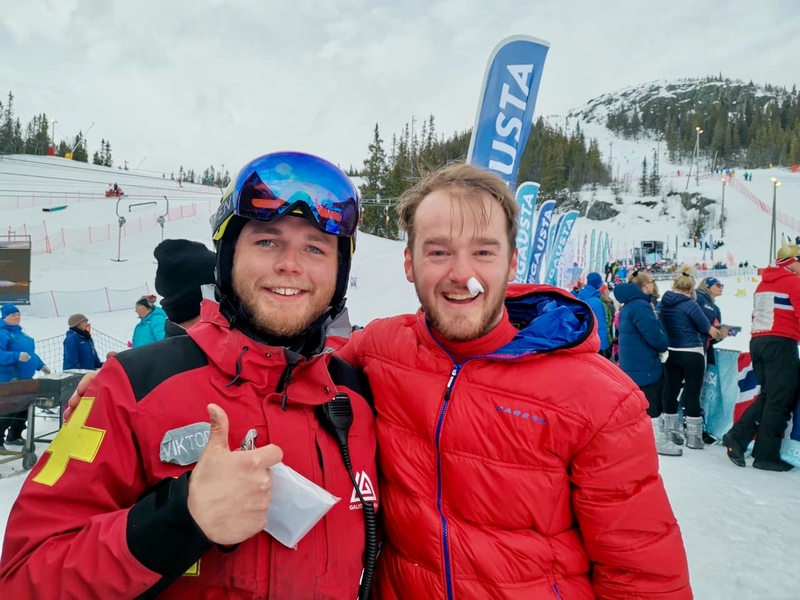 Ex-telemark team athlete Jack Harvard Taylor supported and provided commentary on the live streaming. 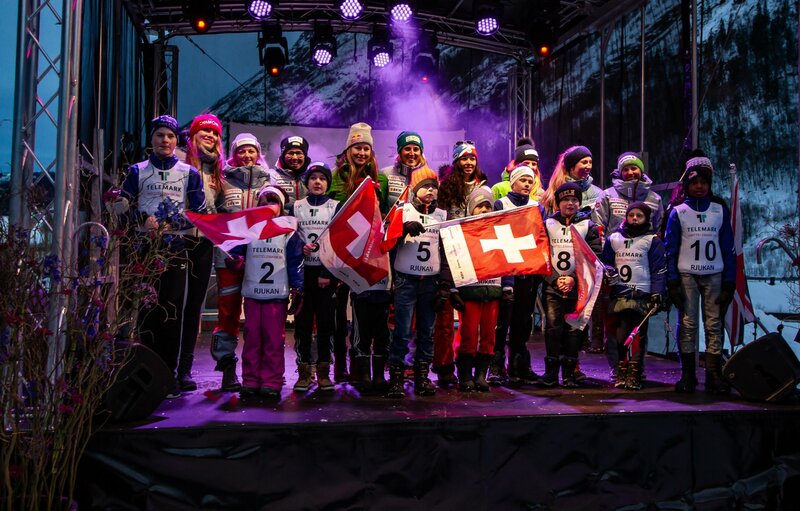 The Murren World Cup event was a fantastic experience. I was joined by sponsors, good friends and the fellow Kandahar Club members who were all out in force cheering me on. 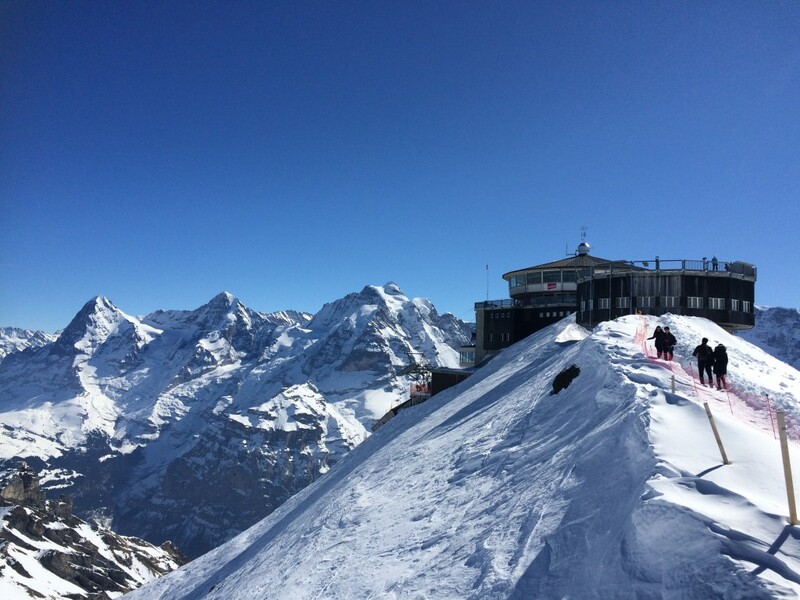 The famous James Bond movie “On Her Majesty’s Secret Service” was filmed in Murren and the Piz Gloria revolving restaurant overlooking the Swiss Alps was a spectacular venue for the post-race banquet. The “James Bond” revolving restaurant over looking the three famous peaks. Once translated into English, they are called (L to R) “the Ogre”, “the Monk” and “the Virgin”. 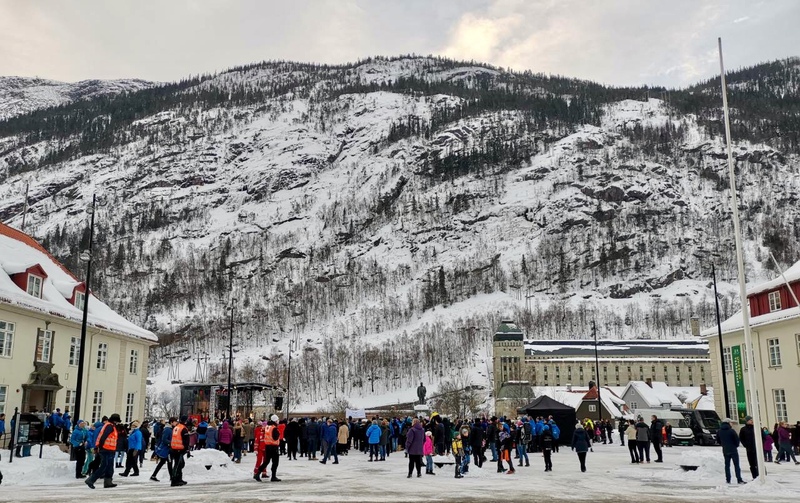 The tour then travelled to Rjukan, Norway in the region of telemark for the final round of racing – this is where the sport originated. 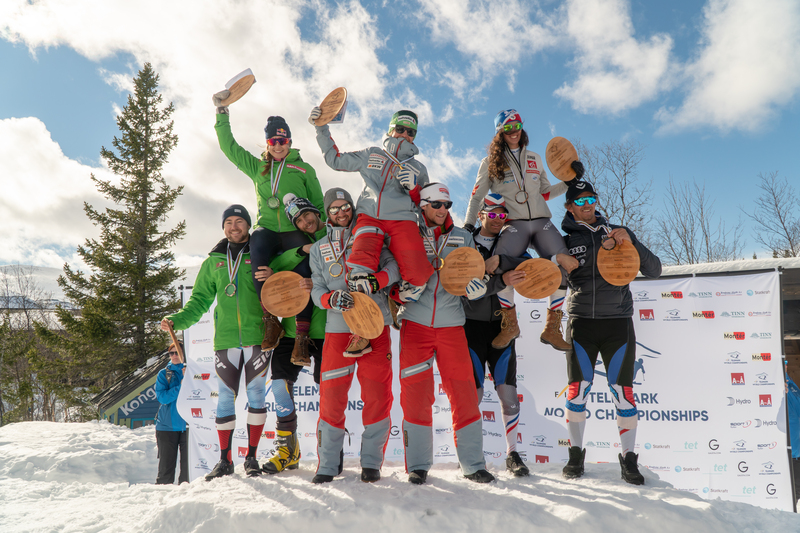 The highlight of the 2014/15 season was undoubtedly the bronze medal at the World Championships and with a full World Cup tour completed I’m looking forward to taking everything I’ve learned and building on this success for my 2015/16 World Cup campaign. 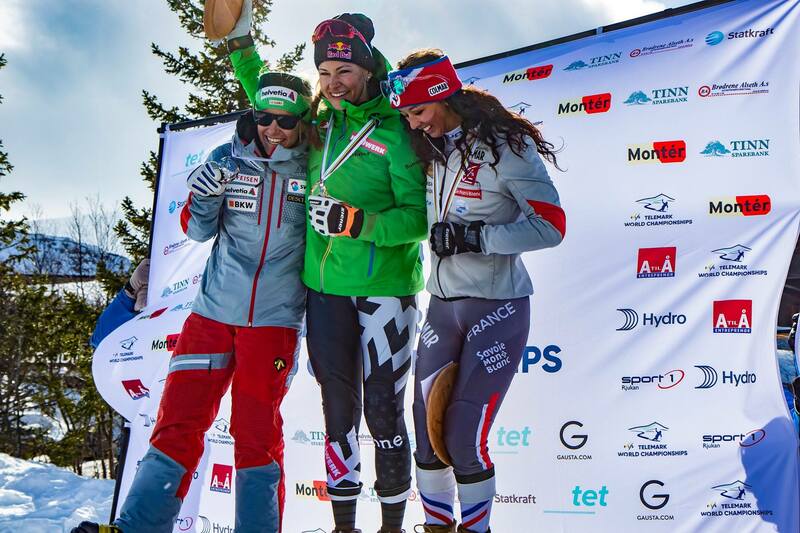 Thank you to – my sponsors, supporters, team, family, friends and everyone that makes it possible. The World Cup season is complete! 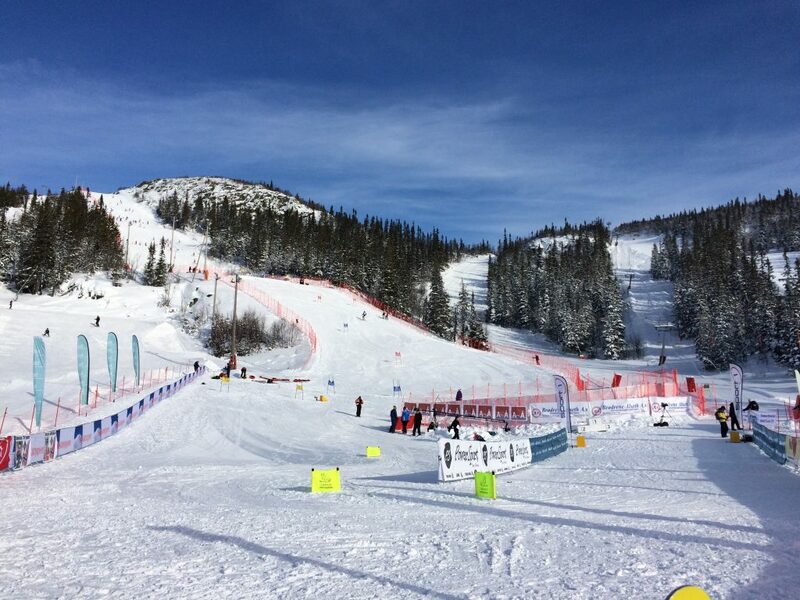 If you missed any of the racing and want to catch up, follow this link. Top 5 in World Cup Finals! 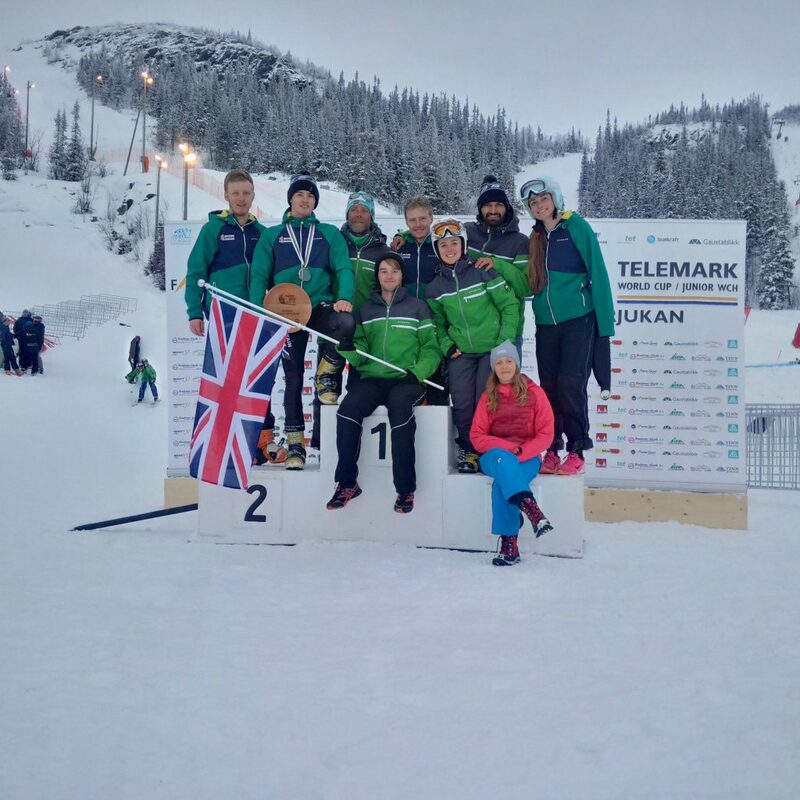 The Telemark World Cup tour moved from Rjukan to Geilo this week, both in Norway, and I have recorded my best results in World Cup to date. The first of the 3 races was the Sprint. 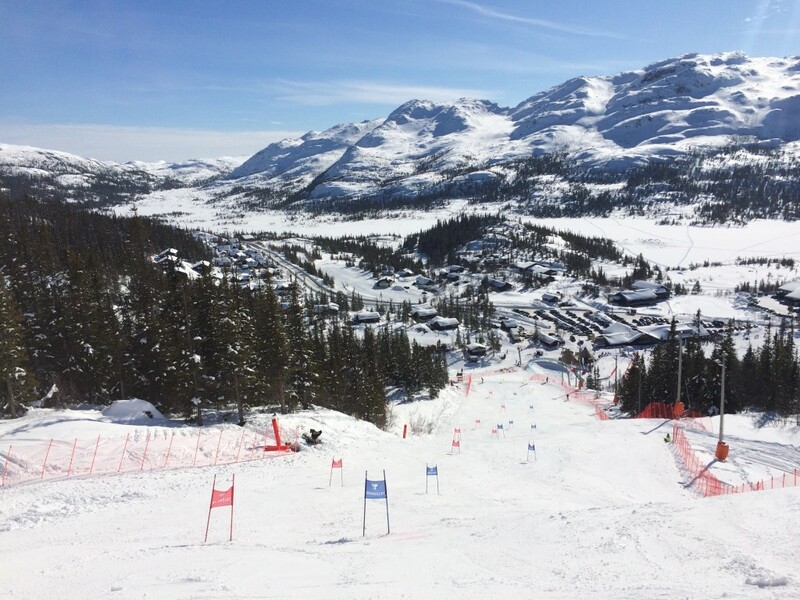 I was 5th on the first run and then started to feel poorly (stomach ache) but managed to pull through just in time for the second run. 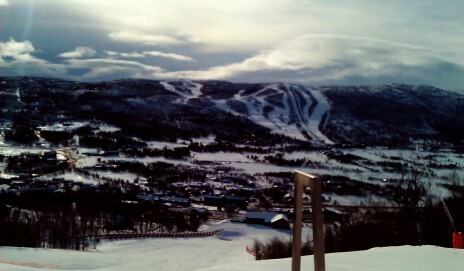 I was still at the bottom of the run when the first girl came down. Having just made it, I focused and gave it everything – I wasn’t feeling too strong but held on and managed to keep my place finishing in overall 5th position. In World Cup, the first 3 are on the podium but the first 6 are awarded prizes. 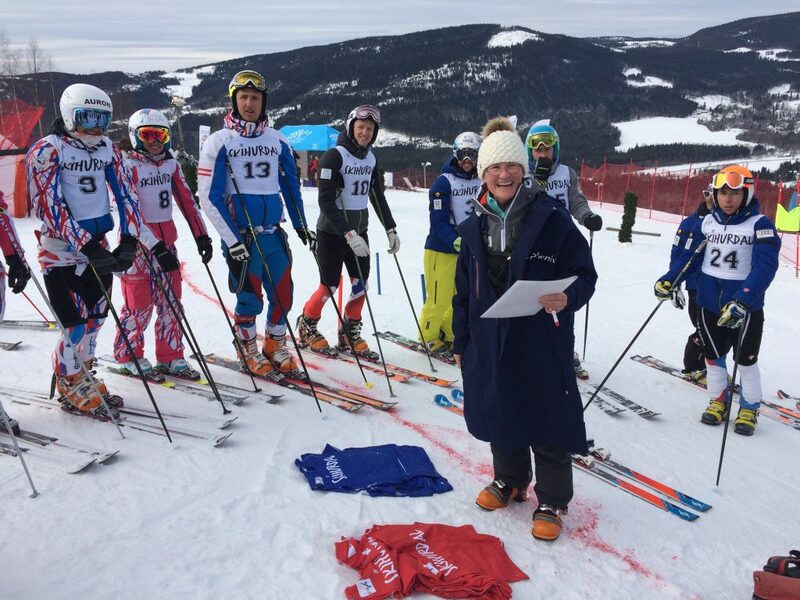 The photo’s below are from the beginning of the Prize giving ceremony and I was awarded a Geilo Telemark knife for 5th place. 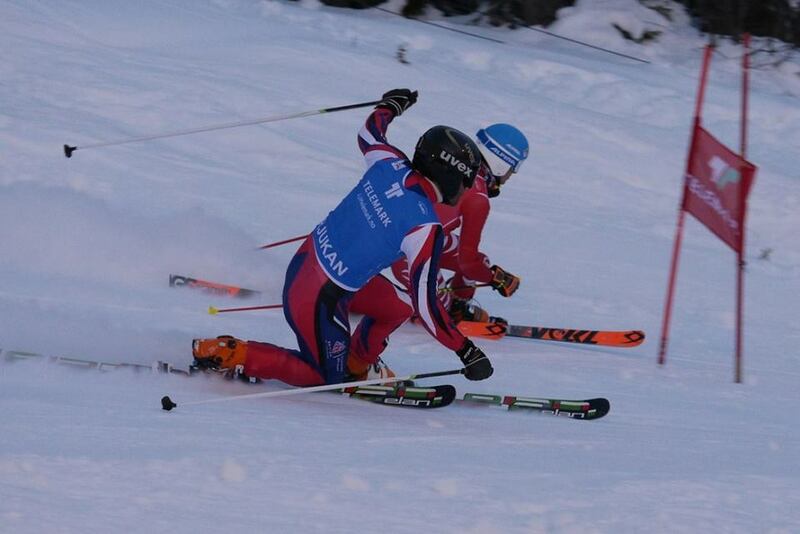 The second of the 3 races was the Classic, the discipline I find the most difficult. 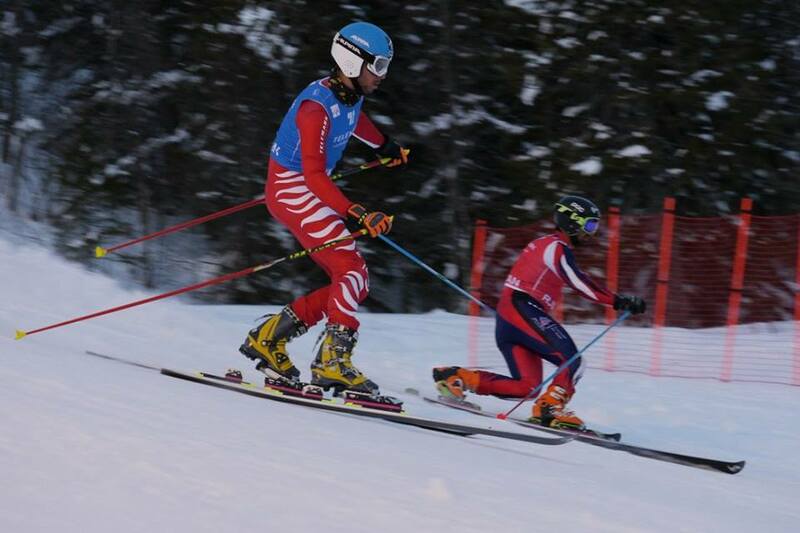 I wasn’t so clean when skiing but gave all my energy and finished in 7th position, which is a personal best in the Classic for me. The third race, of today, was the Duel Sprint. The course was a much straighter set on a flatter hill and the field were close in time. I tried my best, but wasn’t feeling so fresh in qualification this morning and could only manage 9th. All in all, 3 good days of racing and experience. Now we are all heading to Spain (Espot) for the World Championships. 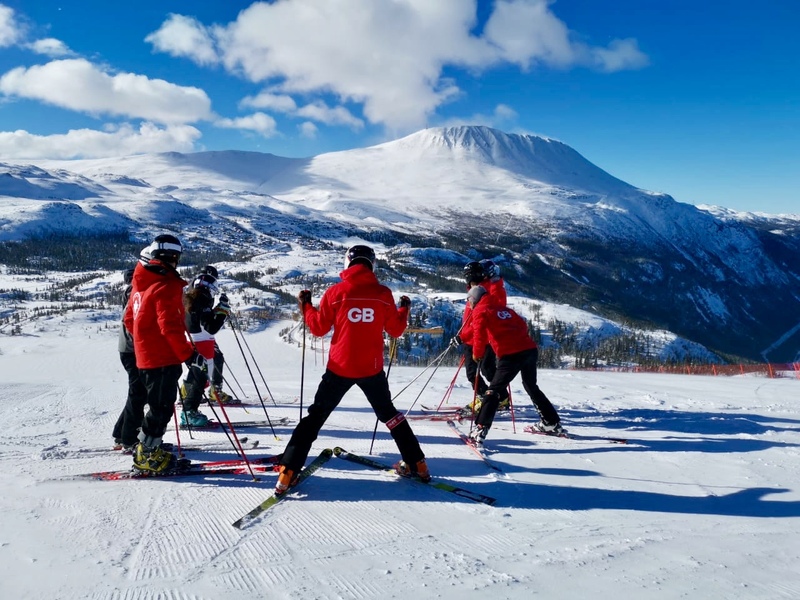 I will be travelling across with the American Team and look forward to joining some GB team mates and everyone else there!